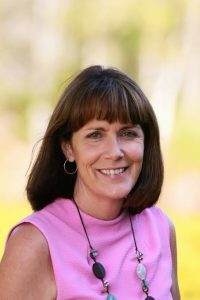 Allison Paterson has always had a deep connection to Australian history and culture, and her writing reflects more than just research or fiction. Her picture books include Granny’s Place and Shearing Time; reminiscent of her childhood memories of growing up on a farm. Allison also immortalises her ancestory with her wartime, award-winning books, Anzac Sons; based on letters written on the Western Front. Using her teacher-librarian status and forseeing a gap in the market, Allison has gone on to produce a new series for primary school students. The first of the nonfiction titles includes Australia Remembers: Anzac Day, Remembrance Day and War Memorials. This is an absolutely stunning documentation of colourful facts, phenomenal photographs – old and new, illustrative posters, quotes and glossary, all presented like a beautiful magazine with easy-to-digest and visually engaging chunks of information across twelve short chapters. 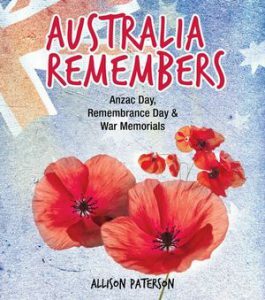 The book covers topics and proposes readers consider commemoration and showing gratitude, what ANZAC and its spirit means, the importance of annual ceremonies and the significance of symbols and traditions. It also includes relevant hands-on learning activities to further deepen the readers’ understandings. Australia Remembers is an important resource that emanates with a sense of engaging the community spirit and extending the legacy of those we ought to always remember. A must-have for Remembrance Day and Anzac Day. Allison Paterson discusses her writing life and tribute to her ancestors with us today! How did you come to be a writer? How have you managed the shift from teacher-librarian to author and presenter? Writing has always been in my life, but the decision to resign from an awesome job as a teacher-librarian to pursue writing as a career came only a couple of years ago. 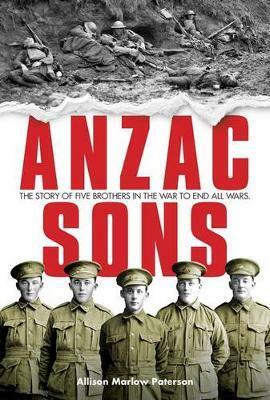 It all began with the publication of Anzac Sons – the story of my ancestors in WWI and a collection of hundreds of letters they wrote from the Western Front. I quite firmly believe that I wouldn’t be a full-time writer today if it had not been for my grandfather and his brothers – they were writers too! The transition from being a teacher-librarian was not difficult. I’m very comfortable with author talks and workshops in schools. I love inspiring kids to write! Being prepared to diversify and look for opportunities, such as mentoring, editing and writing for magazines all helped the financial shift. The toughest things for me are marketing, and I’m slowly learning how to run a business! I also found that being available and saying ‘Yes!’ opens more doors as well, including doing some casual educational consultancy work with Big Sky Publishing. 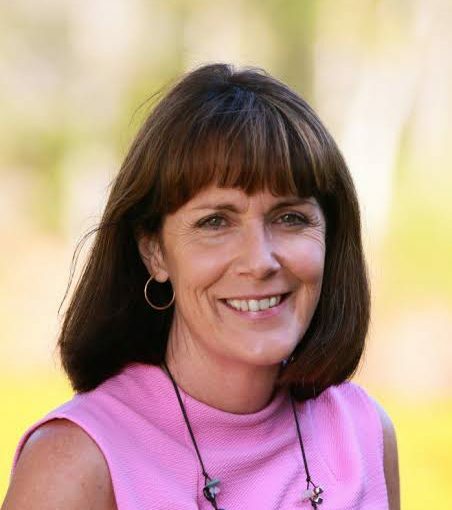 You’ve written several non-fiction titles on the Anzac history for children and adults, as well as fictional picture books that tie memories together with a great Aussie flavour! Do you have a style or genre you feel most comfortable with? Why is the Australian culture such a strong influence in your writing? I spend most of my time lurking around in the past so historical fiction and non-fiction are certainly my favoured writing genres and where I gravitate to in a book shop or library. I’m a very proud Australian. I love the people we have become and our awesome landscape. I feel very connected with the land and when I travel to the place where I grew up it always feels like going home. My place! Australia Remembers: Anzac Day, Remembrance Day and War Memorials is a valuable resource for primary students to be able to connect with the traditions of Anzac Day and Remembrance Day, in essence, to keep the memories of war and its recipients forever alive and celebrated. What are the most significant points you’d like your readers to take away from this book? What do you hope it will achieve? I hope that readers develop both an understanding and respect for the role that our armed services have in the development of our wonderful country and the way of life we enjoy today. It is designed to ensure that the next generation shares the history and traditions of our important commemorative occasions. I also hope it encourages children to find out about the experiences of their own ancestors. There are bountiful resources available for teaching and learning about Australian war history. What are your favourite educational lessons or resources to suggest for parents and educators following the reading of Australia Remembers? 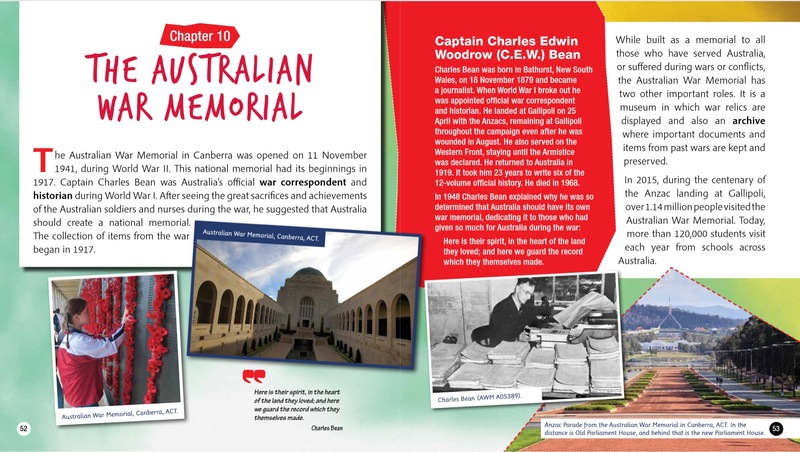 Australia Remembers has inbuilt activities and discussion starters and is supported by extensive teacher notes which are available on my website, or on the Teachers page at Big Sky Publishing. My favourite lessons can be found in the notes, but if there was one I would pick it would be to explore your local memorials. Find out about the service of those in your local community. The next book in this marvellous series is Australia Remembers: Customs and Traditions of the Australian Defence Force. What can you share about your research for this title? How many more titles in the series have you got planned? Australia Remembers: Customs and Traditions of the Australian Defence Force is underway and will be released in 2019. It explores the history of the Army, Navy and Air Force in Australia, along with the shared and specific customs and traditions which have developed, sometimes over centuries! It will be a terrific resource for answering the questions which arise around our commemorative services. The whole series plan is a work in progress and we have lots of ideas that we are exploring for future titles. A war to end all wars, a tiny key and a rural Australian property that binds across the generations. Two young women living a century apart discover who they are and where their hearts belong. Visit Allison Paterson at her website, and on her Australia Remembers book blog tour here.